Black Friday is just around the corner. Shoppers look forward to all of the deals that can be had on that date and this year, like years before, Black Friday is going to bring us many amazing deals on electronics and everything else. If you want to buy an Xbox One S, you will be able to pick one up at a discount in the days leading up to Black Friday 2017. Microsoft has discounted some Xbox One S bundles and they’re actually available now from its online store. It’s not uncommon for companies to start offering Black Friday deals early on in November. This lets them to bring in more people and hopefully gets them to purchase items before they decide to spend their money on something else. That’s why Microsoft has announced its pre-holiday Xbox One discounts. 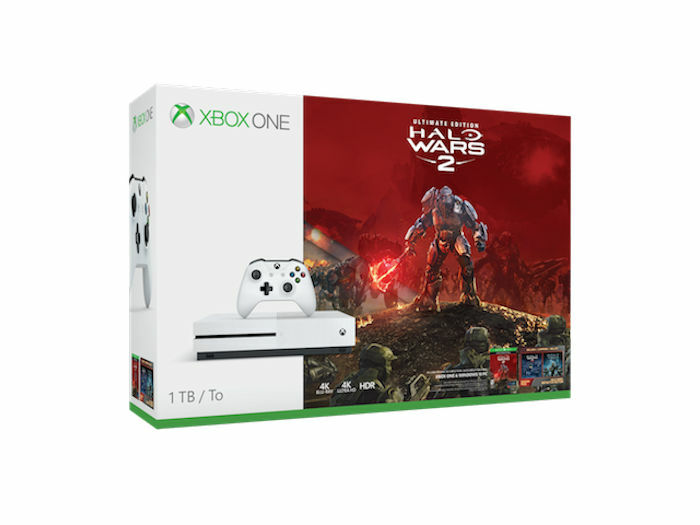 You can get an Xbox One S bundle for $249. It includes the console with 500GB of storage and two free games of the your choice. The bundles that are available from the Microsoft Store include the Xbox One S Battlefield 1 and Minecraft Adventure bundle. The bundles that include 1TB of storage and games like Assassin’s Creed Origins, Halo Wars 2, and Middle-earth: Shadow of War cost $349. It’s a good time to buy.